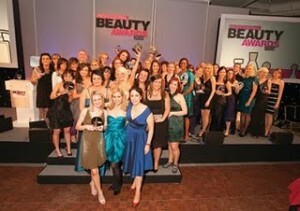 The Professional Beauty Awards 2012 is now open for entries. The inaugural Professional Beauty Awards was held in 1997. Since then the awards have not only grown in size but also importance within the beauty industry. With nearly 200 entrants in 2011, Award winners gave favourable reports and feedback, noting a number of benefits ranging from increased profile and positive customer response to increased coverage from local and national press and improved staff morale. The Awards night itself involves a glamorous reception and gala dinner held at the Hilton Park Lane, London. Winners attend to collect their awards and celebrate with their staff, peers and suppliers. The event gives winners the chance to network with other leading spas, salons, product houses and many worthwhile business relationships have arisen from the event over the years. A Professional Beauty Award is a sign of excellence, recognition and a worthy accolade that will give additional edge over competitors and help boost individual and company profiles. 2011 Winners and Results. It is these independent reports that are then judged by an independent panel of experts during a deliberation day. Each individual therapist, nail professional and make-up artist is judged via a trade test and a panel interview.